Hermine Gascho comes from a family who always had a song on their lips. Her love of harmony singing showed very early on. At 5 she already serenaded in two voices with her brother birthday songs on the telephone composed by her father for family and friends. Her completed degree in music (and English) as well as her years of stage experience as a musician are the basis for her resourceful arrangements. In addition to The Funny Valentines she maintains the Swing Favorites – Hermine’s current project. 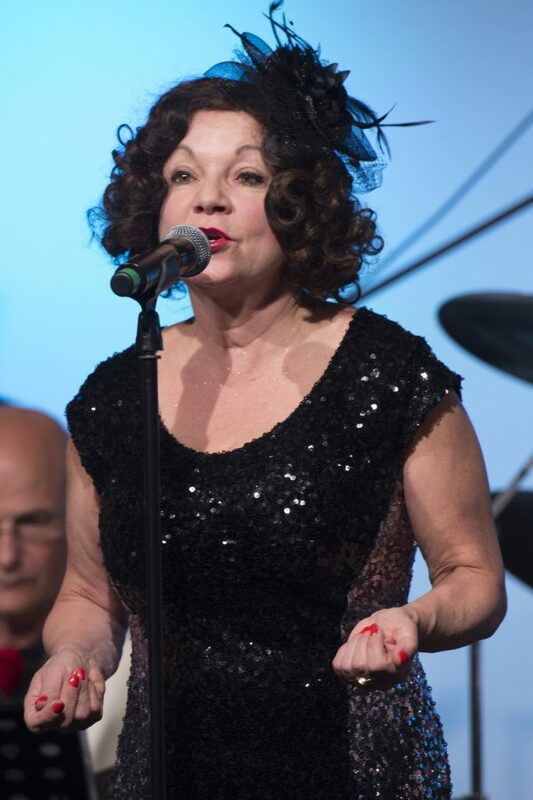 Together with her combo „Swing Substitutes“ she presents the music from the swing era. Well-known standards and wrongly forgotten songs, newly arranged in top quality. The repertoire originates in the „Great American Songbook“, which contains the highlights of popular American music from 1920 to 1960. The Swing Favorites mainly revive the 30s and 40s. They enchant you with swinging melodies that are catchy and uplifting. The „Swing Substitutes“ are the Munich musicians Charly Thomass (piano), Wolfgang Meiler (drums) and Eric Stevens (bass). The human voice is also the centre of Hermine’s other career. She teaches voice and speech training at the federal school for speech therapy (Staatliche Berufsfachschule für Logopädie) and is a speech and voice therapist. And if she doesn’t feel like singing for once, she enjoys life anyway. Best food and the adequate accompanying wine are as important to the excellent cook as swinging music. Anna Hermann has been singing herself happy since the age of 3. At 14 she discovered jazz singing and studied later with Karen Edwards at the Richard Strauß conservatory in Munich. She also visited master classes with Fay Claassen (NL) and Kevin Mahogany (USA). But she can do a lot more: For many years now she has been a member of „Discotrain“, Europe’s disco show No 1. As soon as she puts on her plateau boots, she turns into Annabelle Shagwell – and suddenly the dance floor is packed! She also sings with „Café Unterzucker“ or with the „Trio TSA“. Or she treats you – together with the „Dreigroschenensemble“ – with Kurt Weill and Bert Brecht’s hits about Mackie Messer. Her favourite way of singing, however, is with a vocal group. 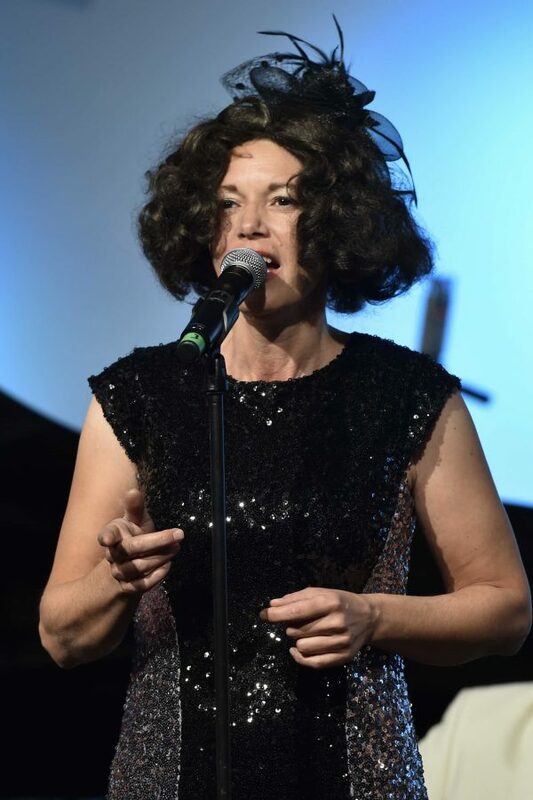 It started with „Twistett“ (with Anette Brehme and Marc Schmolling), then „LadiesTalk“ (a five-part a cappella group around Kim Chong), up to The Funny Valentines, with whom she has been singing since 2011. Singing is simply uplifting! After a few engagements with drama (children’s theater, English Drama Group, the musical „School“ at Gasteig, Munich) she has decided that music is definitely the most important thing in her life. Having grown up in the country, it all began with singing and playing traditional Bavarian parlour music, and campfire songs with the scouts/girl guides. Later she added classical choir singing, and finally – in the early 80s – she found her great passion: jazz. Inspired by all the old Fred Astaire musical films, Billie Holiday and the „Kleine Rondell“ bar in Munich, the „Bavarian with direct access to the soul of jazz“ has been swinging on numerous jazz stages since 1990. Since 2000, she has been on tour with The Funny Valentines. Her part in this group is characterized by a clear intonation, a velvety voice and a distinct feeling for swing and harmonies. At the same time she passionately performs with her own band, which is available in different formations from duo to quintet. Here, she can best enjoy her love for soft swing and mellow tones. 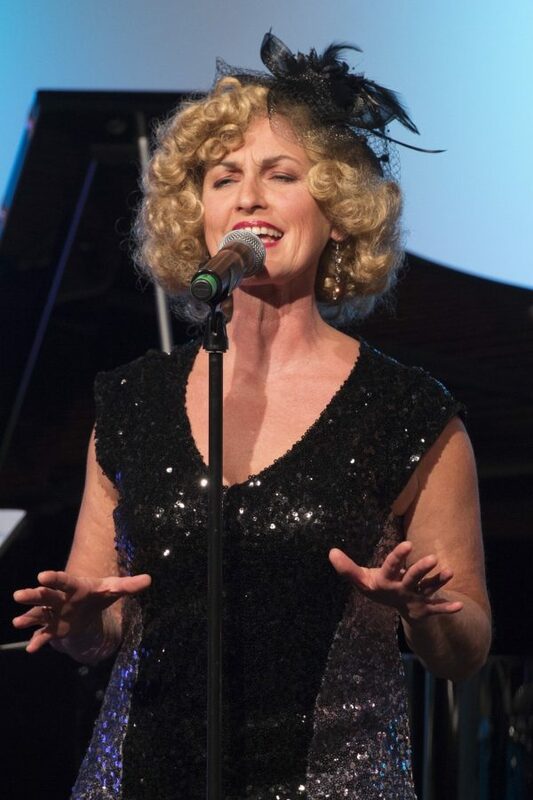 Mark Murphy called her a „jazz stylist“ – a singer who has found her own style. Her musical sense is also the basis for her job as a choir leader at the Munich music school Ohrwurm, for which she makes all the arrangements of songs from different genres. It all started with pop music. The Beatles and Elvis were the first to conquer her heart. Her musical curiosity was piqued and became the all-dominant factor in her life. During school she got to know piano and choir music from all eras. She graduated in music (in Munich), her main subject being classical music (piano) and her minor subject being jazz (piano and singing). On stage, she feels completely at home with jazz, blues, funk and Brasilian or Latin music. Over the years, she had about 2000 performances in clubs, theatres and at festivals in Germany and abroad together with several bands (mainly with the Chicago blues band „Little Martin & the Roosters“). From 2000 to 2003 she was a member of the a cappella group „LadiesTalk“ and toured with them to Greece (to the Olympic Games in Athens) and Korea. She composes and writes lyrics, writes songs (in English, Brasilian, Spanish) and instrumental music. Besides countless songs and piano music she has also created three song cycles for theatre plays up to now. In 2011 she attended a circle song workshop by Bobby McFerrin in the U.S.A. In 2009, 2013, 2015 and 2017 she attended the vocal master classes of the Deutsche Musikrat and let herself be inspired by members of the „Real Group“ and „New York Voices“. She also works with several bands (Alexandra Fischer Crossover, The Woodsidejumpers, The Galactic Discotrain)and published three CDs, one of them featuring original songs („The Gardens of Summer“). 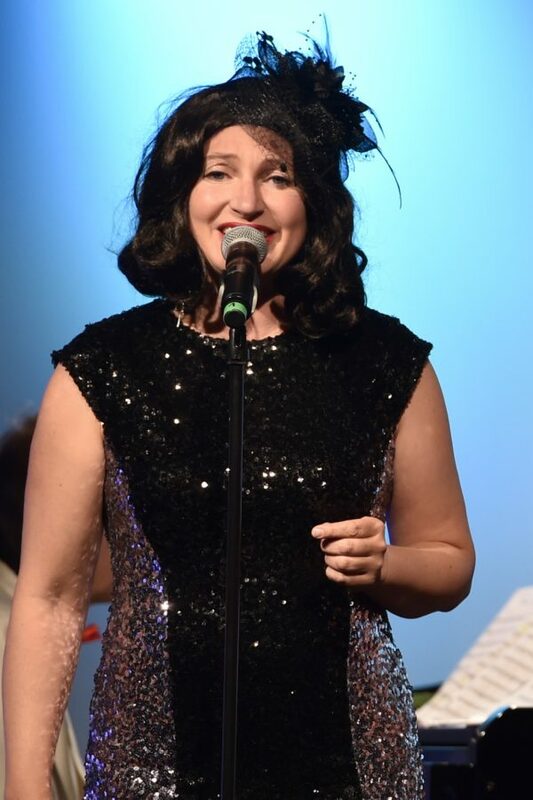 Delighted to be able to sing jazz of the most swinging kind in unique arrangements with The Funny Valentines, her distinctive alto has provided upbeat bass grooves since autumn 2015 and completes the all-over sound of the group.